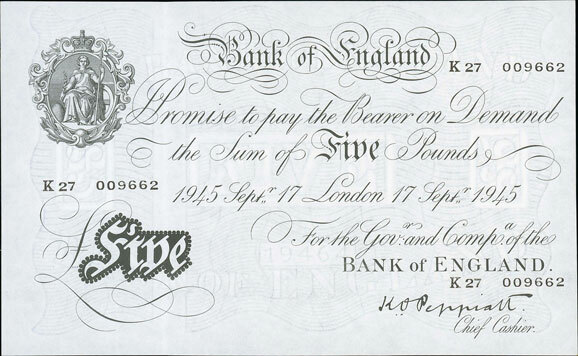 The good weather drew out plenty of keen bidders for our 16th August Banknotes auction. 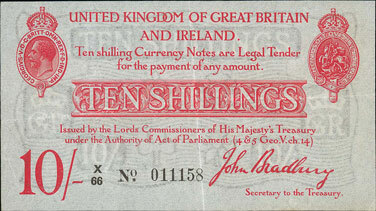 We began with our British banknotes section and this Bradbury first issue £1, graded as extremely fine, realised £737. 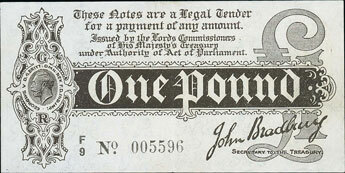 This Bradbury first issue 1914 10/-, graded as uncirculated, achieved £708. This Bradbury second issue 1915 10/-, graded as very fine, sold for £259. And this Peppiatt 1945 £5, graded uncirculated, realised £259. 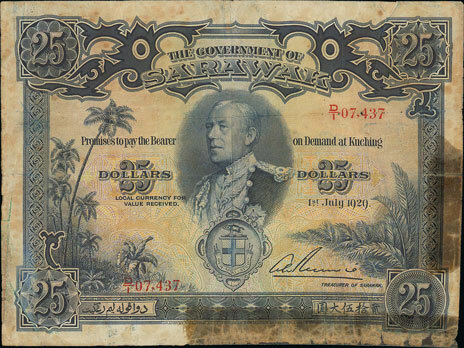 In the world banknotes section this amazing British West Africa 1918 2 shillings achieved £826. 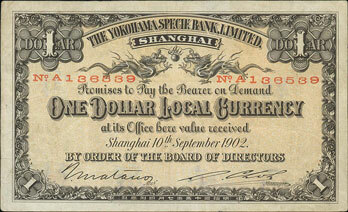 This China Yokohama Specie Bank Ltd, Shanghai branch, 1902 $1 sold for £767. 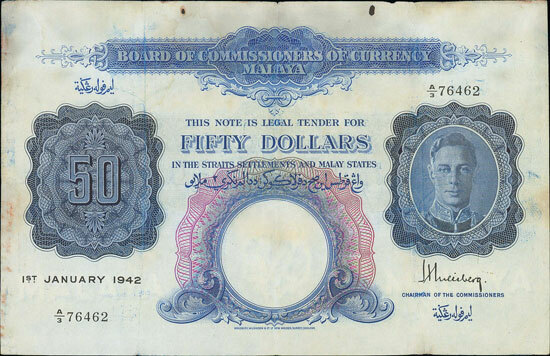 And this Malaya 1942 $50 realised £483. 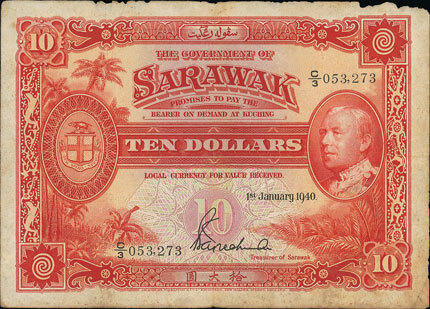 We also offered a lovely range of Sarawak banknotes in this auction including this 1940 $10 which sold for £342. 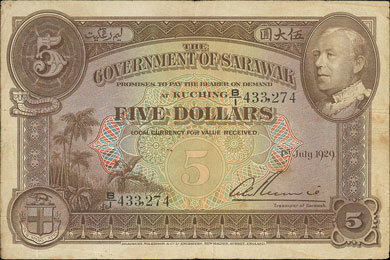 And this 1929 $5 which realised £377. The highlight of the section however was this 1929 $25 which achieved a whopping £1,534! Our next banknote auction will be held on Wednesday 18th October 2017. Look out for the full catalogue for this sale, which will appear on our website in the next few weeks. Also keep an eye on our Twitter and Facebook pages which will include updates of our latest auction news.